Kohima: Nagaland & Assam Governor PB Acharya said some NSCN (I-M) cadres would be absorbed into the security forces (SF) under the recent ‘frame work agreement’ signed between Centre and the NSCN (I-M) in the presence of PM Narendra Modi, Times of India report stated. He also said that after signing of the agreement, NSCN (I-M) has now merged with the civil society. Acharya said the Governor of Nagaland would play a special role in implementing the peace deal that was signed in Delhi on August 3. He also reiterated that no areas of other states would be lumped with Nagaland, a demand raised by NSCN (I-M) for decades. Meanwhile, according to the northeastnews report, Acharya, while interacting with the media informed that when most of the breakaway groups of NSCN have accepted to join the civil society and shun the path of violence, it is not long before NSCN (Khaplang) also joins the peace process. He appealed to all armed groups operating in Assam and other parts of North East to shun the path of violence and to be the part of process of development of the region. He also appealed Paresh Baruah faction of anti-talk ULFA (I) to come out soon and join the peace process. 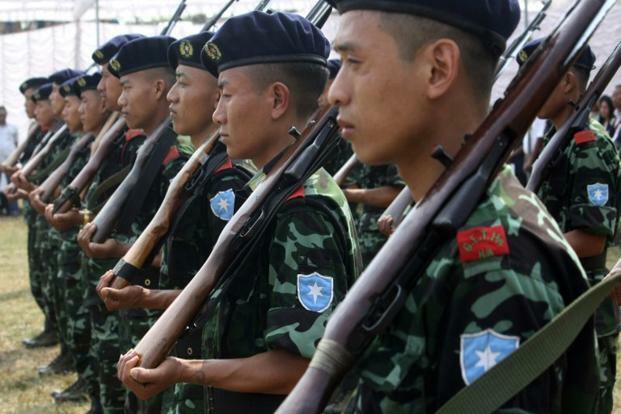 Achraya said while the NSCN has given up the demand for a sovereign Nagaland, their concern for the welfare of Nagas in other states will be looked into and the proposals made by the Union Government have been accepted by the Naga leaders.